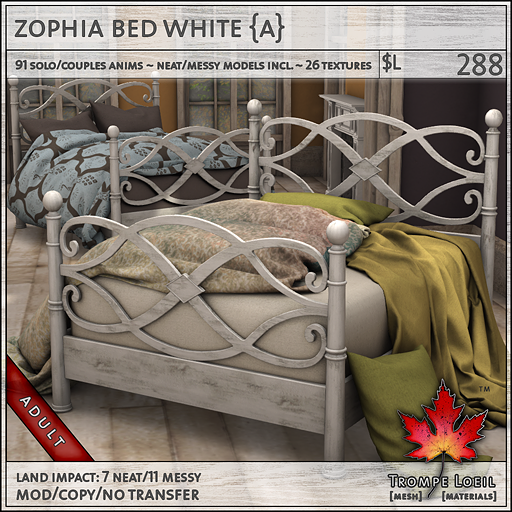 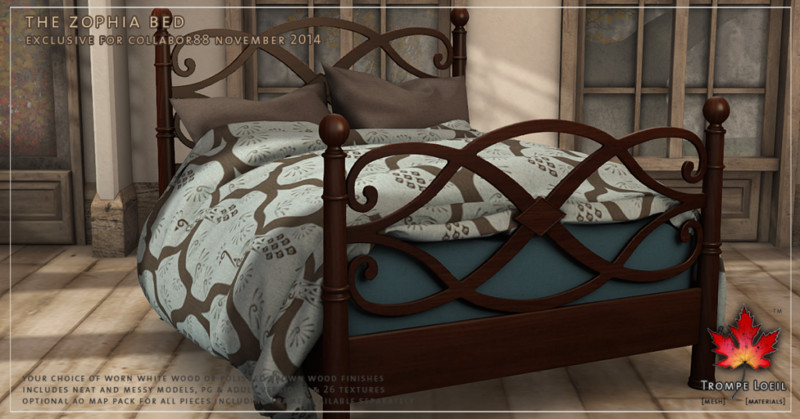 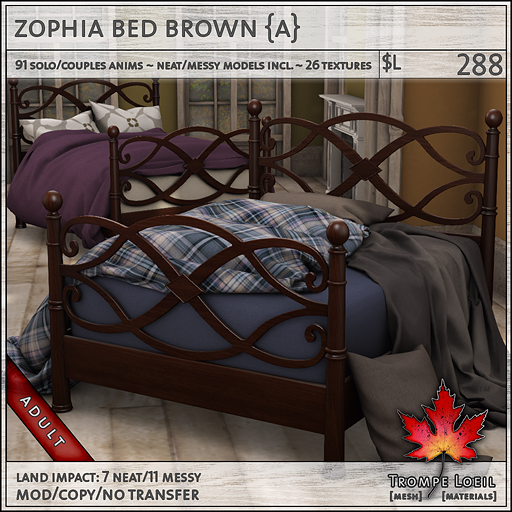 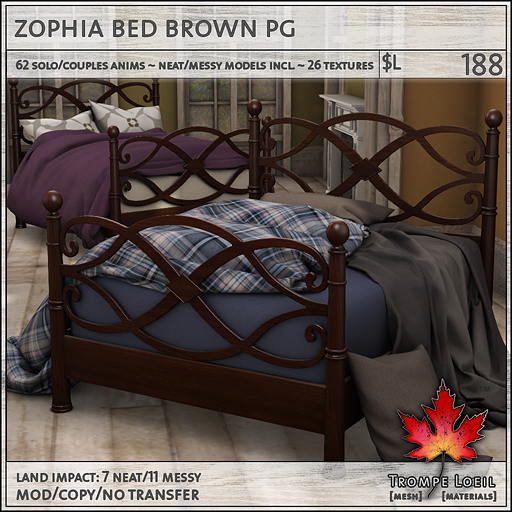 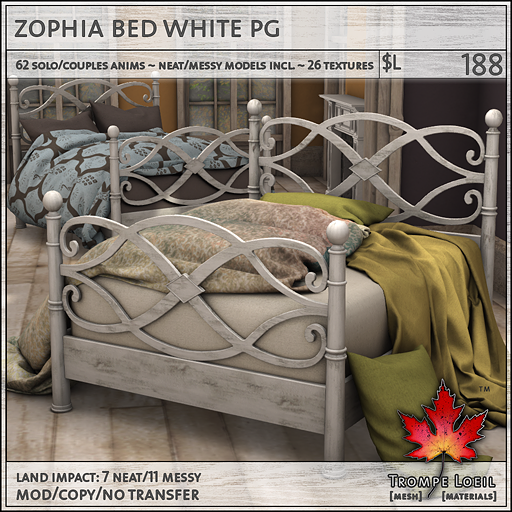 Cluttered is cozy at Collabor88 this month – our new Zophia Bed includes both neatly made and stylishly messy models in your choice of worn white wood or polished dark brown frame, tons of animations, and optional AO Map Pack to customize every piece! 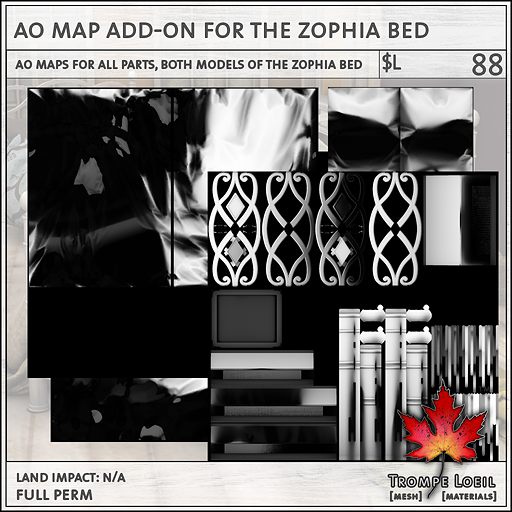 Indulge in ultra-realistic pillows and blankets with 26 colors and patterns to choose from, or make it your very own with our AO Map Pack and your personalized textures! 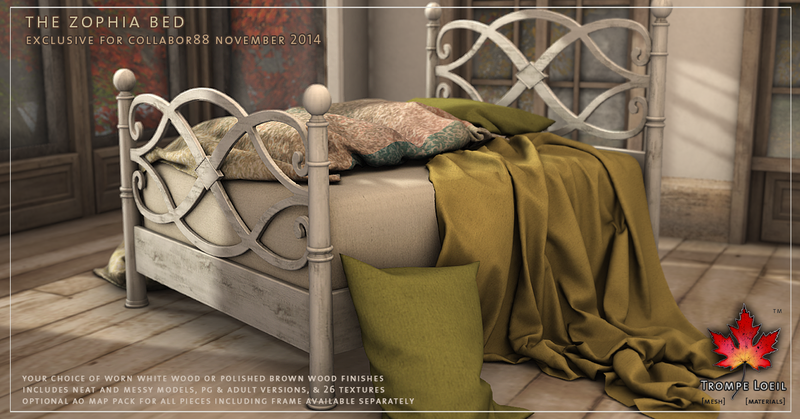 Includes PG and Adult versions at amazing limited time C88 prices, so don’t miss it!